Sometimes you just gotta turn to something to beat those blues, find some comfort or your Sweet Tooth just comes a calling. 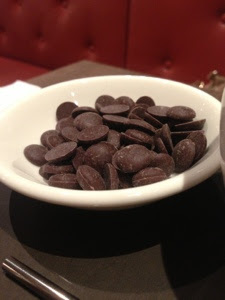 For us, we turn to Chocolate. It pretty much pleases every single time. 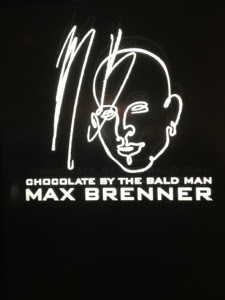 Next time you're after a Chocolate fix, try out Max Brenner; Chocolate by the Bald Man. 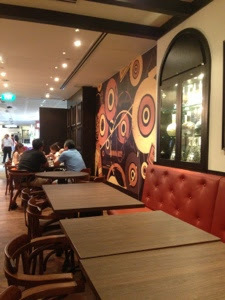 There are a few branches around Singapore but they offer the same treats; Drinks (Hot and Cold) as well as some Desserts. The Shop/Cafe itself is made up of dark colours. At the shop you can buy merchandise and some specialty Chocolates. 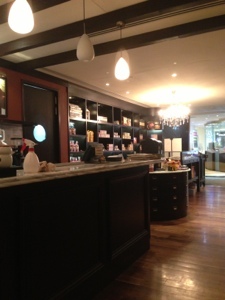 As you move towards the back, it is the Cafe. 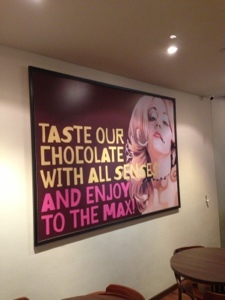 Chocolate is the name of the game here so expect it to be involved in all of the items on the menu in some way. Whilst we haven't tried the entire menu, here are a few options. The 80s style Milkshake is awesome. 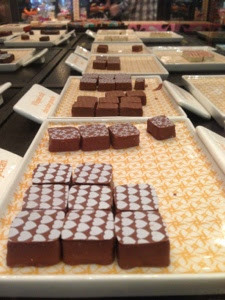 It comes in a good selection of flavours from Butterscotch to Vanilla and; of course, Chocolate. 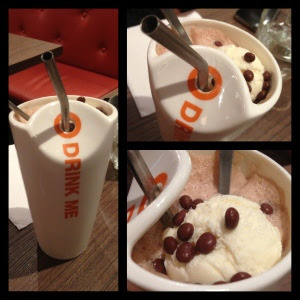 This Milkshake is super cold and is finished off with a scoop of Ice Cream and Chocolate sprinkles. The Cup it is served in is unique as well; with a very suggestive "Drink Me" label on it, and a Metal Straw. The straw keeps the liquid gold cold whilst it makes the journey to your taste buds. For Hot Drinks try the Suckao. 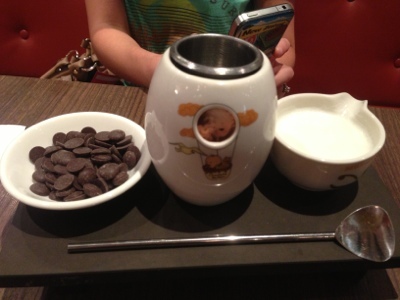 This comes with a dish of meltable Chocolate, a special Cup that has a Flame in it for heat (kinda like an Aroma therapy concept to heat the scented Oils) and hot Milk. The idea is very simple; pour the hot Milk into the heatable Cup, and then add the Chocolate bit by bit to melt it. A few minutes later you have a decadent Chocolate Milk. The Spoon for stirring is unique too. It is actually hollow so that you can use it like a Straw. No burnt hands on the hot Cup! 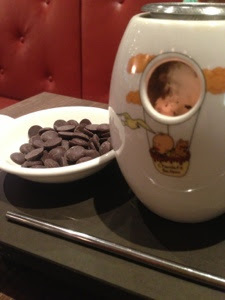 So next time you're after a Chocolate fix, head to Max Brenner and give them a try. The Waffles and Chocolate Fondue look good too. 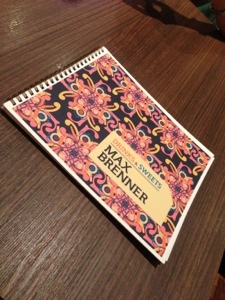 For those who love Chai, they have a pretty good Chocolate Chai for fans to choose.